Linkedin can be an excellent marketing and sales tool for small businesses. Generally speaking, it is important for businesses to have a presence on Linkedin for a number of reasons, including being able to demonstrate your expertise, showcase your work portfolio and projects, highlight your accomplishments, connections and much more). The headline is one of the first things someone sees when they look at your profile (first is your photo as the eye is naturally drawn to visuals before text, followed by your name and then your headline). 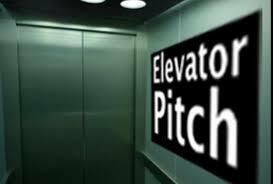 Why not take advantage of this opportunity to make a quick elevator pitch on who you are, where you are, what you do/offer and what are the benefits. Too often people design their profile solely as a resume rather than a sales pitch, where they list their work experience, education, achievements, etc. While these topics may be good to display on your profile for clients who are looking to confirm your qualifications and expertise, such topics aren’t going to necessarily attract business from people who don’t know you or your business. You can engage these potential clients or connections by including a call to action at the end of your summary section (the section right under your headline). A ‘call to action’ may be as simple as saying, “connect with Sally today for a free consultation to discuss your financial goals by emailing sally@lifefinanicial.ca”. This is also the perfect spot to include the promotion of a special service or product you offer. People aren’t going to think to connect with you right away, unless you spell it out for them and lead the way. Update your profile sections to include keywords that your ideal clients would use to search for you. To figure out which keywords to use, try searching for a variety of words (start with your services and/or products) that you think are associated with your business in the Linkedin search bar and see what comes up. Another way is to look at the skills that your connections have endorsed you for, particularly ones that you did not create yourself. By including keywords through out your profile, you can ensure that when people search for services or products you offer that it is your name and business that comes to the top of the list. For more tips on how to improve your profile on Linkedin, click on photo below to view an infographic detailing the “17 Steps to a Perfect Linkedin Profile” by Maximize Social Business.